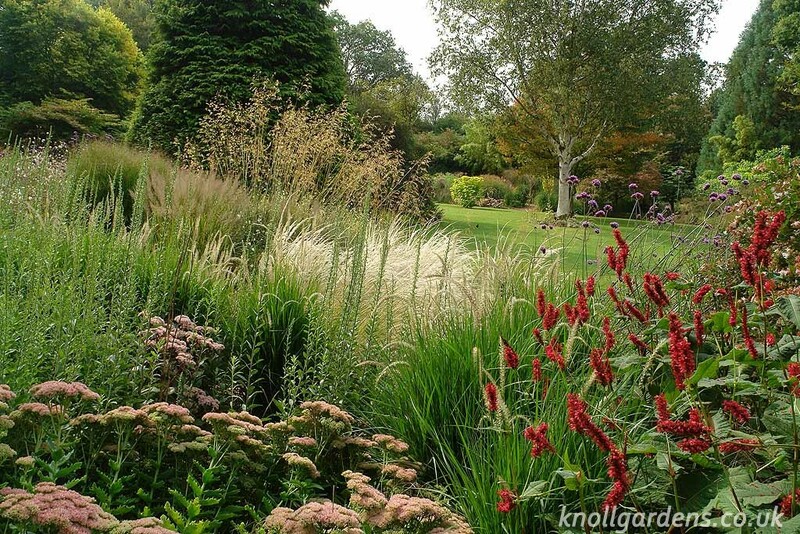 This just has to be about my favourite time in the garden…..and its not only because so many of the ornamental grasses are looking fabulous around now. Its also that the low warm sunshine of the early autumn bathes everything in a kind of warm glow that I find endlessly uplifting. 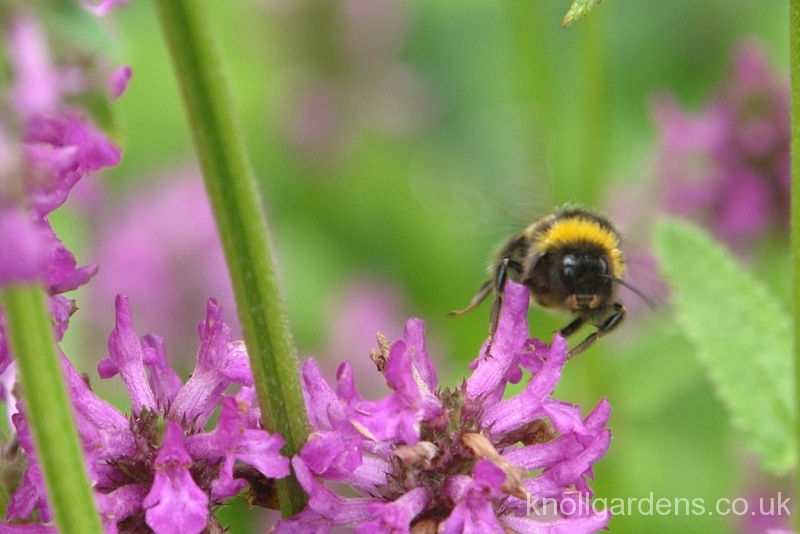 Everything looks good and anything seems possible during mellow autumn days in the garden! 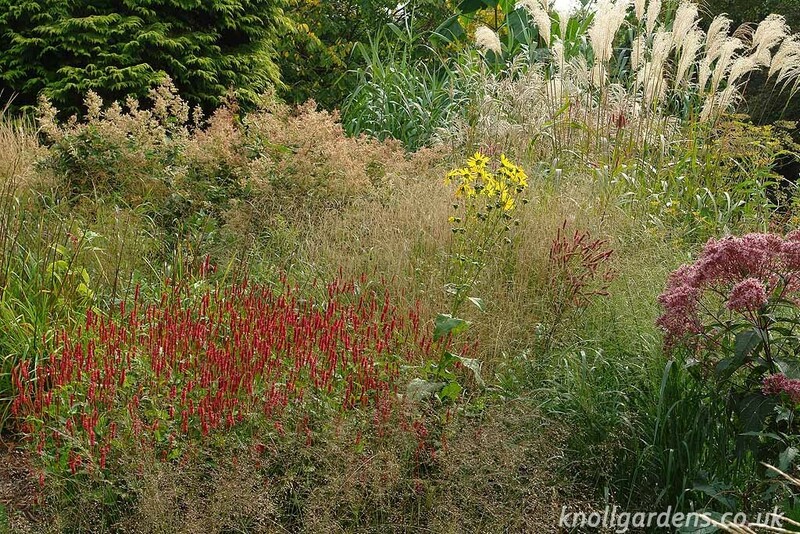 Our extended Gravel Garden planting (above), is looking quite fabulous with the red Persicaria Fat Domino setting off the almost white flower of Jarava ichu and interspersed between the two are the upright and dainty flowers of the fountain grass Pennisetum Fairy Tails. 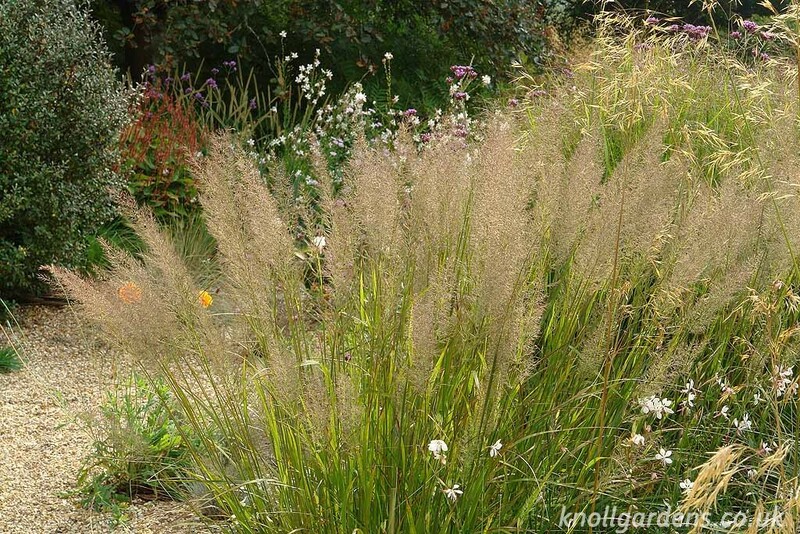 Not quite so obvious in this picture is the rather lovely feather reed grass, Calamagrostis brachytricha, but as you can see from the picture below it is looking pretty stunning at the moment in the full sun and dry though it will also take some shade and wetter soils. 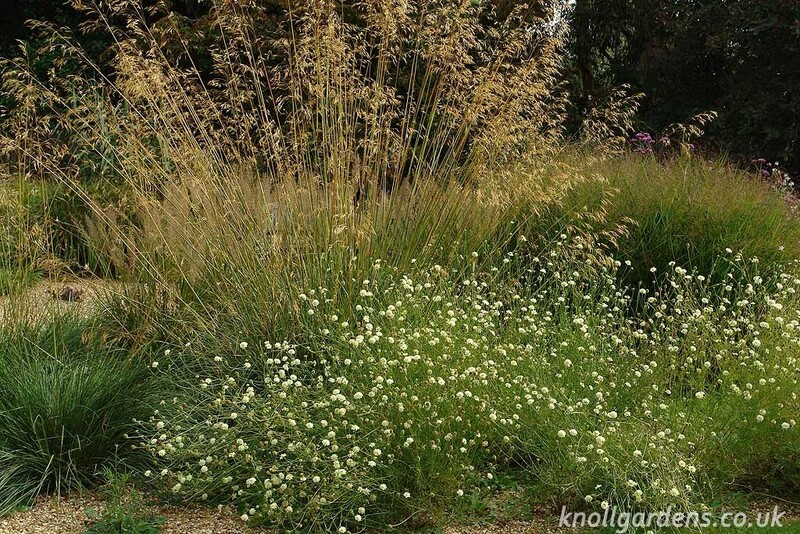 A little further along from the feather grass is a great group of yellow scabious, Scabiosa ochroleuca, with its dainty but prolifically produced soft yellow flowers that set off many taller ornamental grasses such as the giant oat grass seen below. It loves sun and looks just great. 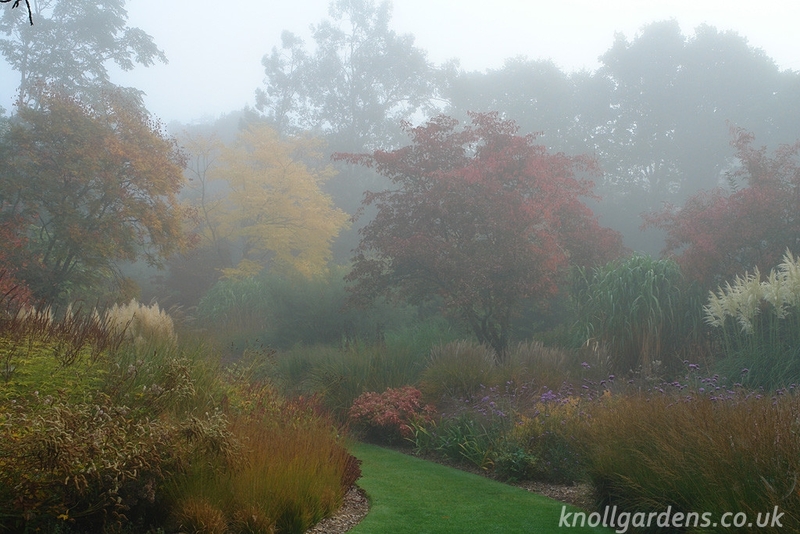 Moving along to the Mill End borders (below), I am so pleased that a little re planting we did a year or so back has turned out so well. 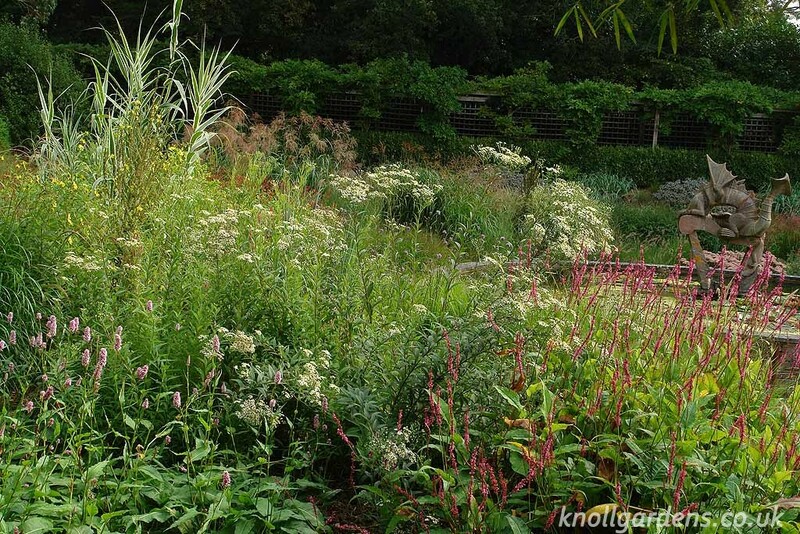 The tall Persicaria polymorpha has grown, as it always does so magnificently, in two years to produce the huge mounds of fabulous white flowers that fade to all shades of reddish pink and which are scarcely less effective now than when first in bloom. 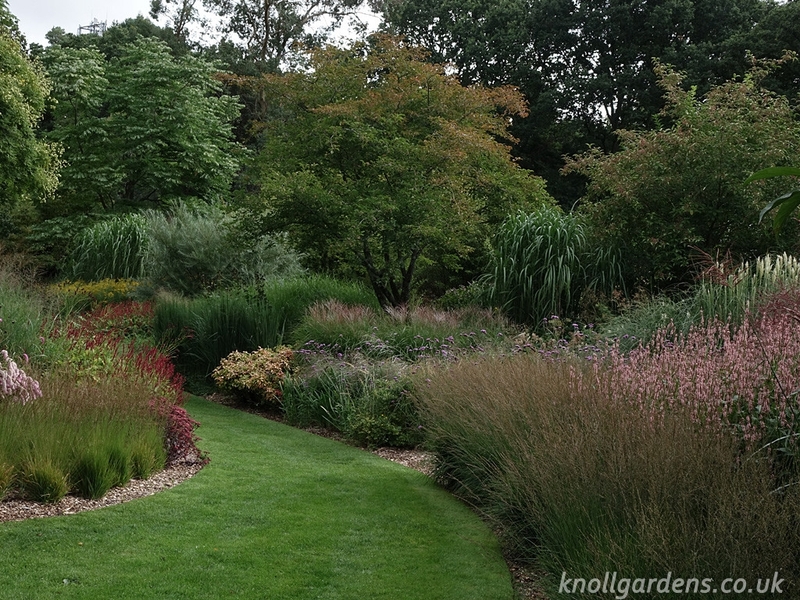 A little shorter are some panicums and Deschampsia Mill End (one of our own selections that arose in this actual border), that contribute a fluffy effervescence through which more solid perennials such as Sanguisorba Blackthorn and Eupatorium Riesinschirm seem to float. Lower still is the rather striking red spikes of the newish Persicaria J.S.Delgado which in turn sits behind the airy spikes of Sporobolus heterolepis. 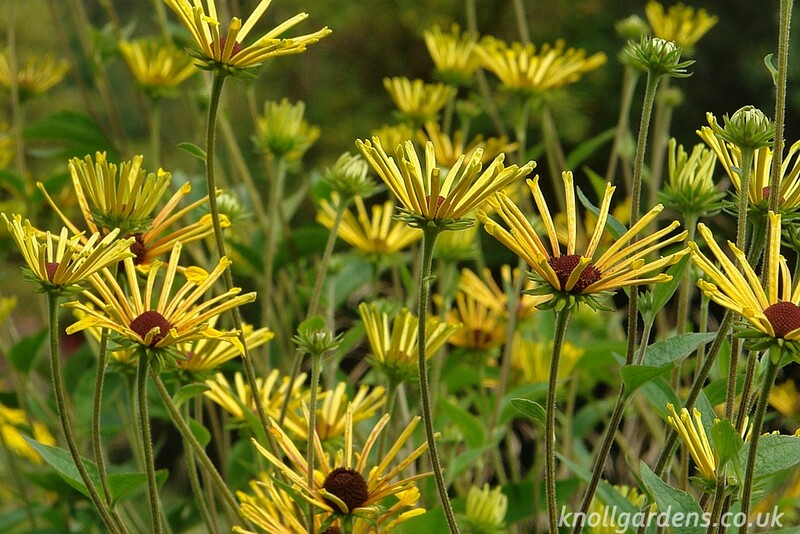 Yet another perennial which I find so valuable for its happy combination of flower and poise is Rudbeckia Henry Eilers. 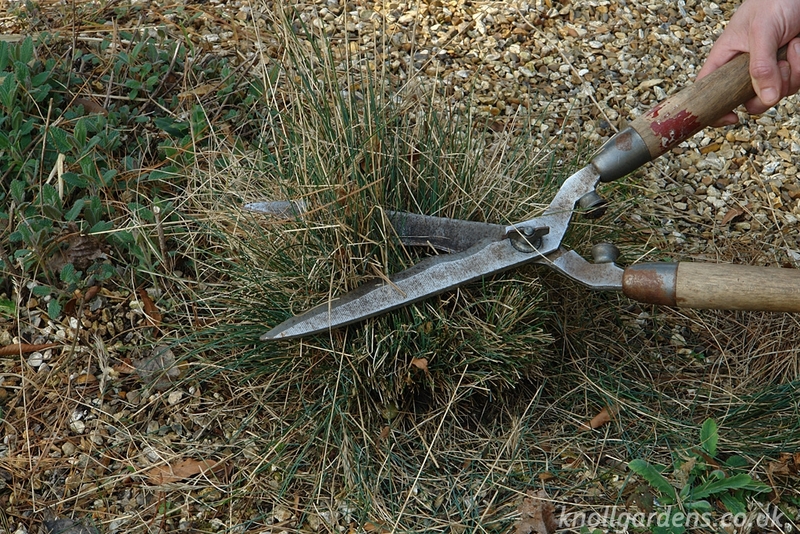 I first saw this plant (below), in the USA and was immediately taken by its simple beauty and effectiveness in the border. 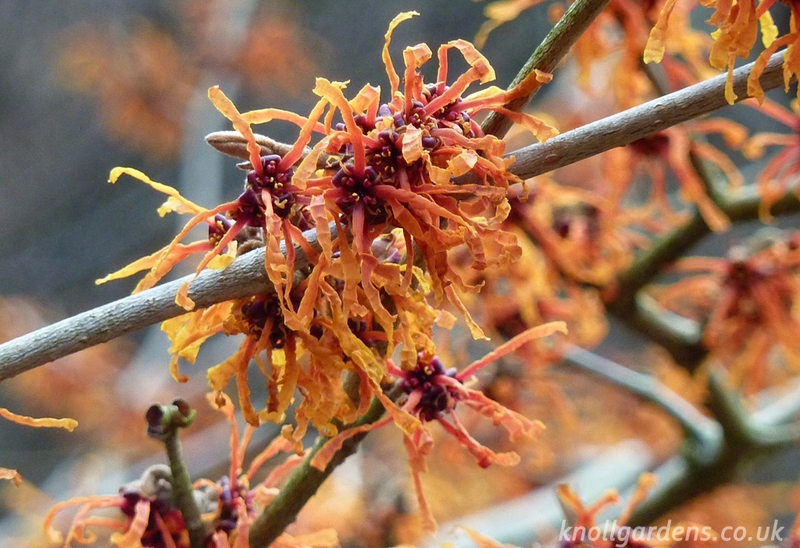 We did quite a bit of replanting in the Dragon Garden last winter and I am equally delighted with its speedy progress this year (below). All the grass paths and old trellis were removed to make more room for the planting and this seems to have been very effective. Persicarias such as the Persicaria Superba are looking good and I am especially pleased with the distinctive flowers of Aster umbellatus that are held high above the surrounding planting. Spurred on by this wonderful season we have almost completed some replanting of the Decennium border in readiness for next year! !